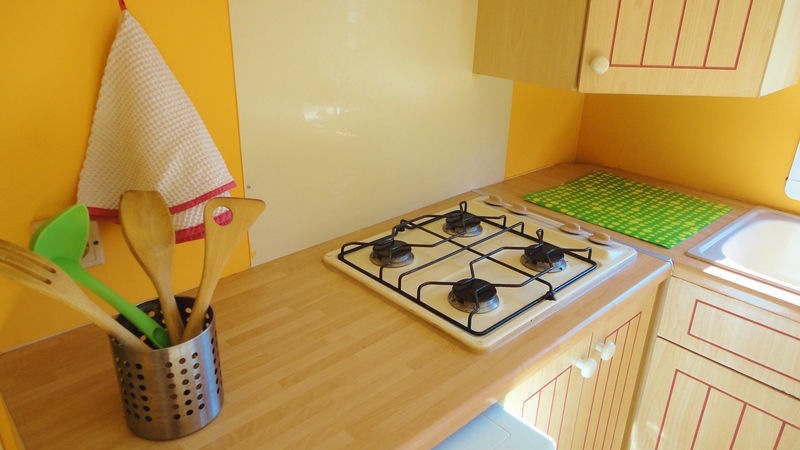 The camping offers 2 modern 7,20m X 3m mobile-homes. 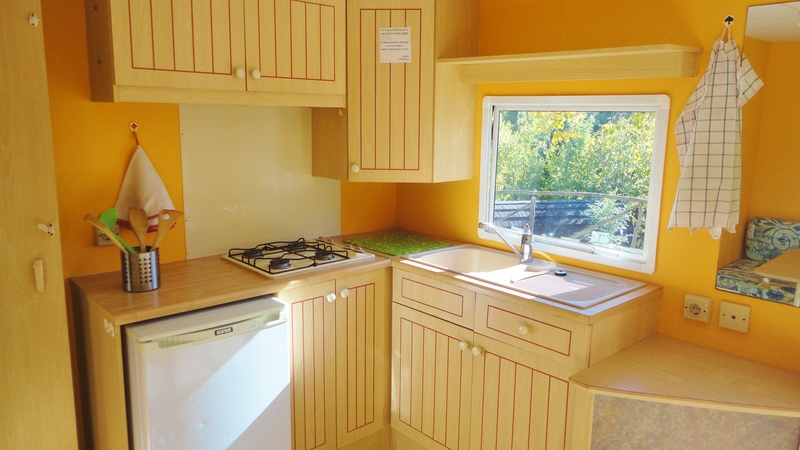 Each can accommodate up to 4 persons (in two separate bedrooms), and includes external porch for shadow. 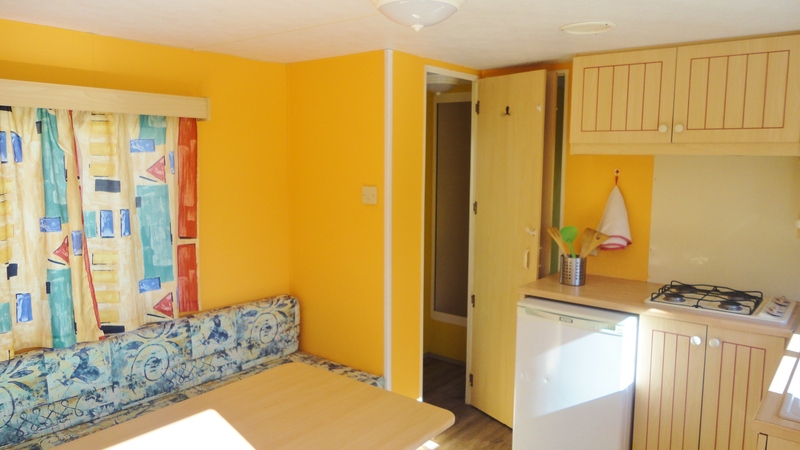 NEW IN 2018: mobile-homes have been renovated: new floors, new colors, new windows and new beds and matresses! See the cancellation conditions here. 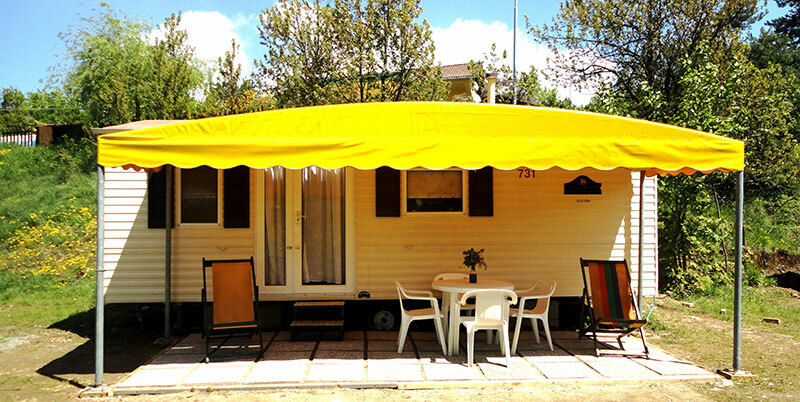 Mobile-homes and all their equipment must be left in perfect conditions. Before payment the mobile-homes will be checked to verify conditions. If damages are found, due to guests responsibilities, they will be charged in the final invoice.